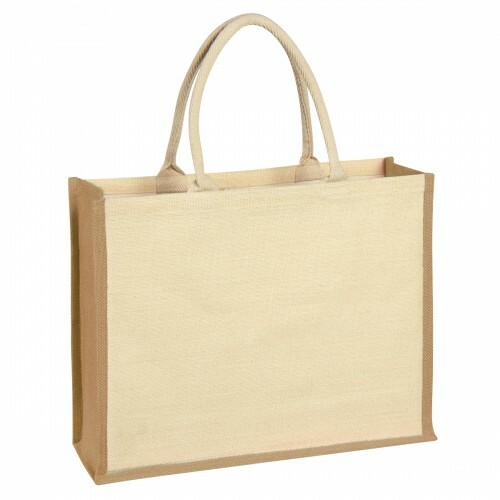 All natural and biodegradable custom tote bags are a great way to show people you care about the environment. Made from Pure Natural Jute, a natural 100% biodegradable vegetable fiber, the colors on this personalized tote bag were created with AZO-free dye. 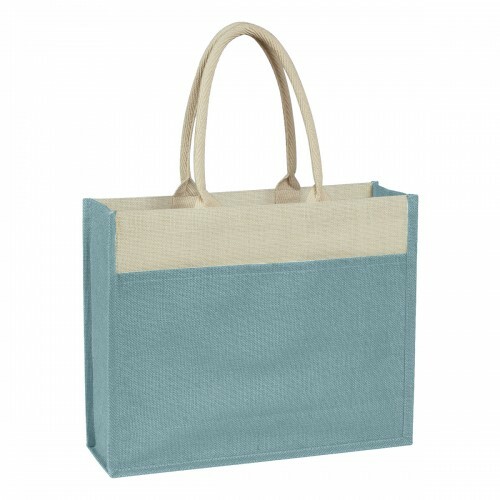 Available in Beige, Light Blue, Light Green or Poppy with natural accents and 16" padded cotton rope handles, this two-toned customized tote bag has a large front pocket for quick access to important documentation. Easy to care for, simply spot clean and air dry to keep your tote looking great. 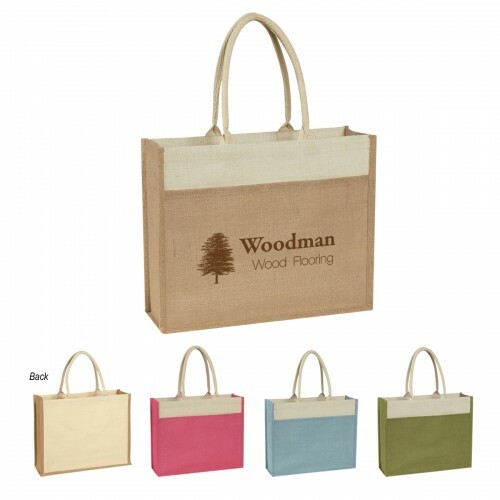 Custom tote bags are ideal for any marketing campaign or promotion, and are great for company stores. A one color, one location imprint is included in the price. 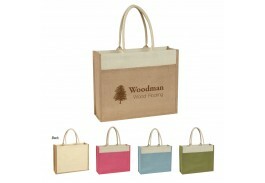 Colors: Beige, Light Blue, Light Green or Poppy, all with Natural Accents and Handles. Imprint Area: 10" W x 7" H | Minimum 32pt. font size. No small lines or graphics.